Interstellar asteroid ‘Oumuamua (pronounced oh MOO-uh MOO-uh) spent only a short time traveling through the Solar System, but its passage is providing scientists with new insights into the formation processes of planetary systems. 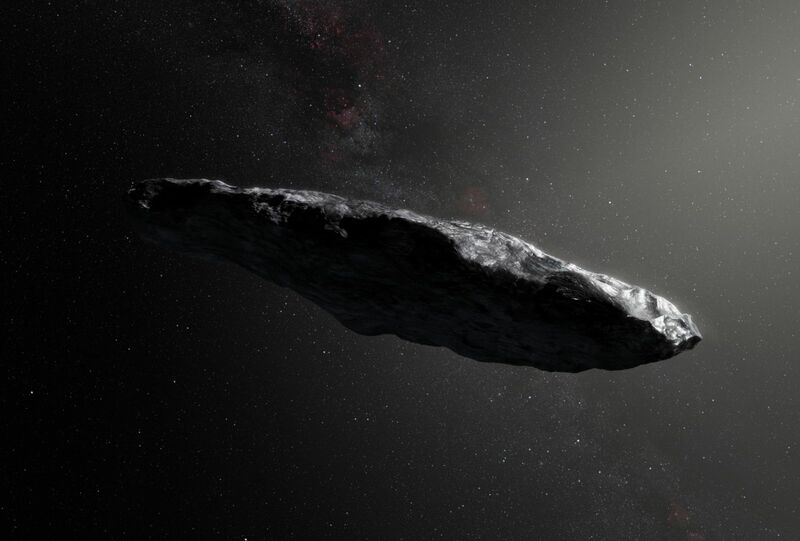 First seen speeding through the solar system by NASA’s Panoramic Survey Telescope and Rapid Response System (Pan-STARRS1) on Oct. 19, 2017, the cigar-shaped asteroid was nicknamed ‘Oumuamua, which in Hawaiian means “a messenger from afar arriving first,” once it was found to have originated beyond the Solar System. In a new study published in the journal Monthly Notices of the Royal Astronomical Society (MNRAS), researchers at NASA’s Goddard Space Flight Center in Greenbelt, Maryland, considered how the first-known interstellar asteroid to be detected matches current knowledge about the formation of asteroids, comets, and planets. ‘Oumuamua was first thought to be a comet because it flew past the Sun at 196,000 miles per hour (315,400 kilometers per hour)—a speed normally seen in comets heading toward the Sun. However, when observed, ‘Oumuamua was not shedding gas and dust the way comets do when approaching the Sun, leading some scientists to suspect it was actually an asteroid. During the formation of planetary systems, which condense from clouds of gas, dust, and ice surrounding newborn stars, objects that form close to their parent stars get too hot to sustain ice and become rocky asteroids. In contrast, objects that form far enough from the star for water to remain frozen, even when exposed to the star’s light, remain icy and become comets. Because they orbit closer to their parent stars, asteroids are far less likely to be ejected from their stellar systems than are comets. 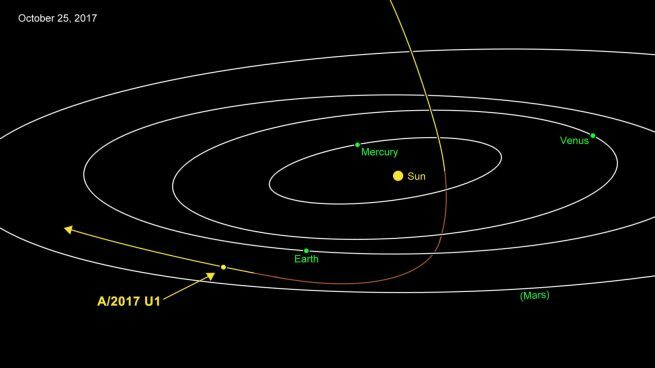 Yet ‘Oumuamua, which was likely ejected from its original star system and sped through the Solar System so quickly that it escaped the Sun’s gravitational pull, is an asteroid that likely came from a region of its system where ejection was unlikely. “It’s hard to imagine how ‘Oumuamua could have gotten kicked out of its system if it started off as an asteroid,” said astrophysicist and study lead author Sean Raymond of the French National Center for Scientific Research (CNRS) and the University of Bordeaux. The Solar System is far more likely to eject comets than asteroids, according to previous studies. Systems that eject objects into interstellar space usually have gas giant planets whose gravitational pulls fling away objects that get too close to them. While some small bodies are torn apart during this process, others may survive and be stretched out into cigar shapes, much like ‘Oumuamua. Although some objects ejected from stellar systems by this mechanism are large planetestimals, most are likely small, ‘Oumuamua-sized bodies, the researchers said. Researchers plan on using the Large Synoptic Survey Telescope (LSST), currently under construction and set to become operational in northern Chile next year, to observe additional interstellar objects, both within and beyond the Solar System, to learn more about exoplanet systems and constrain the ones most likely to harbor Earth-like planets.